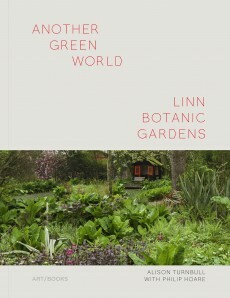 Another Green World: Linn Botanic Gardens, Encounters with a Scottish Arcadia is a beautiful new book on one of Scotland's most impressive botanical gardens located on the Rosneath Peninsula, just a short drive from Cove Park. Since encountering Linn during her residency at Cove Park in 2011, artist Alison Turnbull has worked with award-winning writer Philip Hoare on realising the publication. Alison's photographs and drawings and Philip's essay in the book are complemented by local photographer Ruth Clark's stunning images of the Gardens. Cove Park have a limited number of books available for sale on our website and for this weekend only from the Cove & Kilcreggan Book Festival 2015. Proceeds from the sale of each book purchased from us will be donated to Linn Botanic Gardens. 'Artists find a Cove Park residency inviting because it comes with no specific requirements or rules of engagement - other than the opportunity for ‘inspired thinking’. I arrived at Cove Park in the summer of 2011 with the intention of developing a new group of paintings and drawings. Little did I realise that there, on its doorstep, I would also discover a unique and idiosyncratic botanic garden that would prompt me to new ways of working and lead to a collaboration with a writer, a photographer and an ecologist - not to mention two botanists, Jim Taggart and his son Jamie, the creators – and curators – of Linn Botanic Gardens. These encounters resulted in the publication Another Green World - Linn Botanic Gardens published by Art/Books in association with Cove Park, designed by A Practice For Everyday Life and generously funded by Creative Scotland. Another Green World is published by Art/Books and supported by Creative Scotland and Historic Scotland. Thanks for sharing, if you need to thi công văn phòng, visit your site offline. Definitely do not disappoint you.